The Banshee of Ireland is a much talked about figure in Irish folklore and may have its roots in a spirited and lively Gaelic imagination. In Irish folklore there are some humorous characters while others are grotesque or fantastical. Prime among the second category is the weird wailing Banshee creature. The Banshee is known for emitting cries that give notice to the family she "watches over" that one among them is soon to die, The cries are sometimes mournful while other times they could be described as spine-chilling screeches. A Banshee is a ghost or spirit usually associated with a particular family, usually a family of ancient Irish lineage or noble blood. The Banshee of Ireland is a derivation of the Gaelic words, Bean Sidhe or Bean Sí, which is interpreted differently by writers as “A Woman of the Fairy Race, "Woman of the Fairy Mound" or "the Female Fairy." 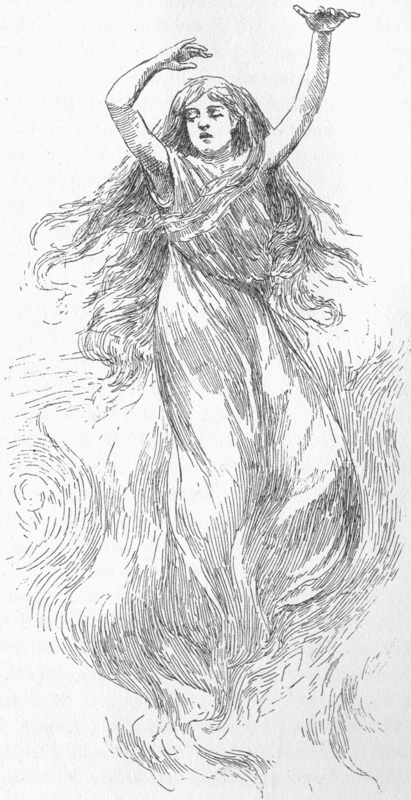 More creative descriptions of the Banshee are as "The Lady of Death", "The Woman of Peace" "The Woman of Sorrow" "The White Lady of Sorrow", "the Nymph of the Air" or "the Spirit in the Air". Banshees have been defined as being a "disembodied soul, that of one who, in life was strongly attached to the family, or who had good reason to hate all its members." However, this definition of Banshee associates the banshees as being or having been a human. Another definition of banshee defines a banshee creature as a spirit that has never lived in a body and is indeed a species apart. All Banshees definitions describe female or feminine creatures at least. It is important to remember that in Irish folklore banshees are usually heard but rarely seen. The Banshee can also be divided into two types, the Friendly Banshee or the Hateful Banshee. 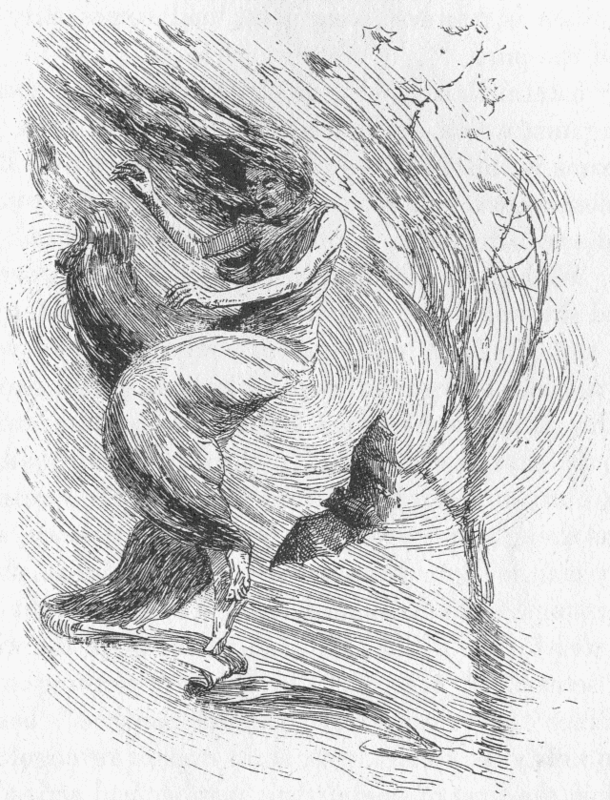 The Friendly Banshee, such as depicted in the banshee picture, loves the person whose death she is announcing and her song or wailing is a low soft chant with a tenderness of tone to reassure the person and his/her family as they go on their final journey to join their ancestors in the afterlife. However, the Hateful Banshee is an enemy of the family whose cry is described as "the scream of a fiend, howling with demoniac delight over the coming death-agony of another of her foes." So the banshee, depending on the type, can either soften or increase the sorrow associated with an approaching death. Whether hateful or friendly, to hear a banshee usually means a death within a day or two!. What does a banshee look like? Physically, some banshees are described as a horrible hag with "ugly distorted features", who curses a doomed and hated member of a family. Other descriptions of Irish Banshees are as sad and beautiful spirits. These friendly banshees are usually in the form of a young and attractive female spirit or creature with a pale face, regular, well-formed features and black or golden hair. The Banshee is associated with all the noble families of Ireland including the MacCarthys, McGraths, O'Neills, O'Rileys, O'Sullivans, O'Reardons, O'Flahertys. The banshee stays with the family and their descendents even if they lose their position in society and reduced to the ranks of the poor. Almost all the other old families of Ireland are associated with banshees even though many representatives of these names have lost their status. The Hateful Banshee is said to announce itself in different ways, sometimes by groaning and other times by wailing or a truly blood-curdling scream. The cry of the banshee has been compared to a woman suffering an unimaginable death. Banshees have also been said to make their presence known by the scratching at a window pane or by making a terrific noise or crashing. They can also be heard chuckling. The Friendly Banshee has been heard singing a sad and mournful chant or song, to soothe the person about to die or his/her family, and to reassure them as they go to the next life. While I write here about the Irish Banshee, there is also stories of similar creatures in Scottish, Norse and American folklore.